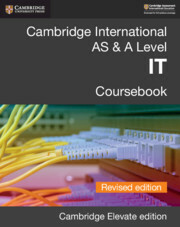 Developed by an experienced author and examiner team and written for the international learner, this Cambridge Elevate edition provides a clear and comprehensive guide to assist students as they develop their theoretical and practical IT skills. 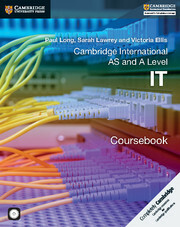 It contains worked examples and detailed explanations of theoretical and practical concepts which are reinforced with exercises and discussion point activities. Practical tasks are offered throughout the resource along with source files to help students build and develop their practical knowledge. Answers are at the back of the resource. There is a wealth of opportunities to practise and consolidate skills through exercises, review questions and extension tasks. Source files are downloadable from the platform. 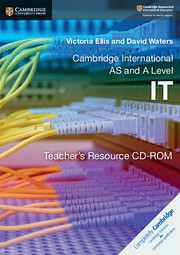 Answers are at the back of the resource for self-assessment.